Cleaning your boiler is an important step as a homeowner to keep your heating system working properly. Regular boiler maintenance can lower your heating costs and extend the lifespan of your system. Because boilers are constantly working and responsible for heating your home and providing hot water, dust and grime build-up can clog the pipes and tubes — lowering your boiler’s efficiency. In this post, you’ll find how to clean your boiler, including the inside, in three easy steps. Let Oasis do the work for you! Call us today to sign up for our yearly maintenance plan which includes a deep cleaning of your boiler heating system. Posted in Air Conditioning | Comments Off on Air Conditioning Maintenance: It’s Already Time! The second half of January puts us midway between when the season for turning on heaters starts, and the time when the air conditioners kick in. If you don’t have a maintenance service contract with a trusted HVAC company (take a look at ours) then right now is great time to plan ahead and arrange for it. A question that heating professionals often hear is whether natural gas furnaces are safe or not. It’s understandable that people might worry about the safety of a gas furnace, since CO poisoning is a major health concern. However, the modern gas furnace is manufactured with safety as the uppermost concern. Gas furnaces have multiple safety features that help to protect homes from dangers due to combustion and toxic gases. The official start of fall is September 22, and that’s why we’ve already started to recommend our customers schedule their seasonal heating maintenance. Right now is a great time to get on our work calendar for a tune-up and inspection of your furnace or other residential heater. This way you’ll head into the cooler weather with confidence that the heating system will work as it should, with low chance of malfunctions and high chance of saving you money on energy bills. There are a little more than two weeks left in the summer, and even though the average temperature during the day is still hot, it won’t be long before the cooler weather sets in. It’s time to start planning ahead for fall and winter with heating maintenance. September is a good time to arrange an inspection and tune-up for your home’s heating system, since that gives you plenty of time to beat out the cold weather and schedule any repairs the heater may need. Posted in Air Conditioning | Comments Off on Can I Do Air Conditioning Maintenance on My Own? We like to place special emphasis on routine maintenance for your air conditioning and heating systems. 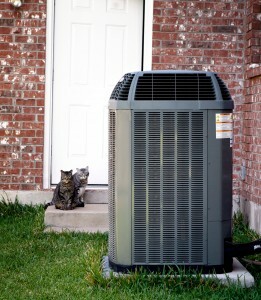 Right now, for example, is the time when you should schedule AC maintenance so the system is prepared to handle the rigors of the coming summer. In fall, you’ll arrange for maintenance for the heating system. Posted in Water Heater | Comments Off on Does My Water Heater Need Regular Maintenance? A few weeks ago, we posted a reminder that now is the best time of the year to schedule annual inspection and tune-up work for your residential air conditioner. You can take advantage of the more open schedule of HVAC technicians and get your AC ready for the summer heat in plenty of time.